Dogs are the best four-legged creatures to grace our earth. (Sorry cats, but around here we proudly consider ourselves dog-people.) They wait patiently by the door whenever we leave to go to work and once we come back, they literally jump for sheer joy. The little tail-waggers practically leap into our arms and lick our faces. Then they proceed to follow us from room to room and lovingly watch us do the most menial of tasks. No wonder why canines have gotten the endearing nickname, "Man's Best Friend!" Emily Elizabeth can attest to this. She's the owner of one of the most famous (and biggest) pups ever, Clifford the Big Red Dog. If you want to get a taste of what it's like to be the rambunctious pet instead of a responsible owner, there's no better dog to transform into than the one and only, Clifford. Ginormous, red and full of playful energy, we all grew up reading about the adventures of Clifford and Emily Elizabeth. Now you can dress up as everyone's favorite gentle giant by wearing any of these Clifford Costumes. Toddlers, children, and even moms and dads can step into an all-red faux fur jumpsuit and bring the slobbering storybook character to life. 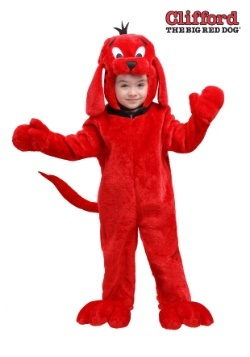 All of our Clifford costumes are officially licensed. They all feature a full-zipper in front which blends into the fur so it's virtually invisible. A plush tail sprouts out from the back and the soft mitts and shoe covers are attached to the suit so you never have to worry about losing them while you're on your travels. We make our very own costumes, totally designed and created by our talented team of designers, so our Clifford costumes are guaranteed to please. Aside from being comfortable and warm, our red Clifford jumpsuits are durable and will hold up for future Halloweens. 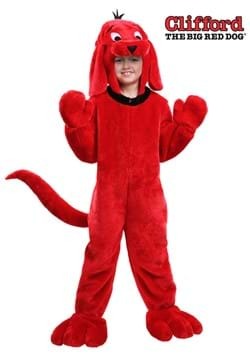 No matter which doggy disguise you pick out, it'll have a fastened character hood with Clifford's loveable face on the front. Yes, the hood even features a few sprouts of hair. 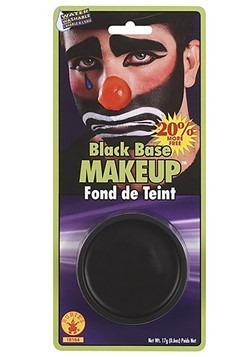 Also, don't forget to accessorize your Clifford costume with some relative accessories to give you an overall more genuine look. 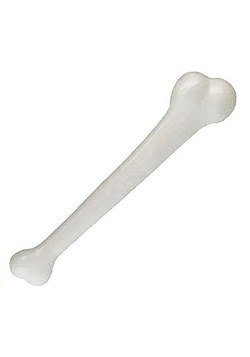 We have a big white bone prop that can be easily toted around in your huge paws. 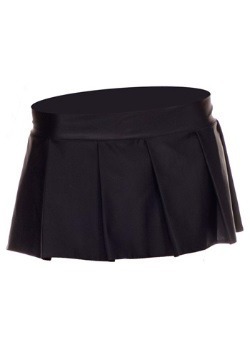 We also sell the perfect accessories for women to create their very own Emily Elizabeth costume. A Clifford costume paired with an Emily Elizabeth costume is an adorable and unique couple's costume for adults. 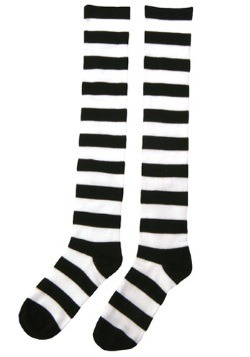 Ladies, check out our striped knee-high socks, black pleated skirt, and short blonde wigs and form a one-of-a-kind Emily Elizabeth costume. Whether you plan on dressing up like Clifford or your little one is barking at the chance to become his all-time favorite gigantic pup, these Clifford costumes are exactly what you want. 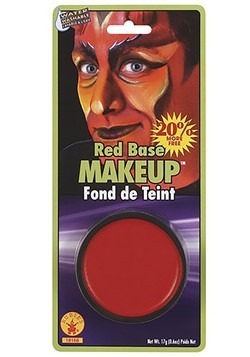 Please leave a review on whatever costume you pick out to help guide others to the best Clifford costume. 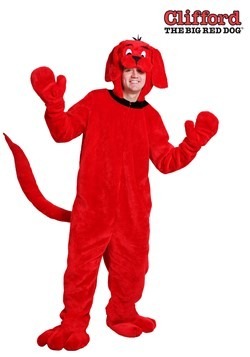 We'd also love to see a picture of you dressed as the big red dog.